Once packaging has been opened, the product becomes non-returnable, due to sanitary reasons. Invest in the Stainless Steel Enema Bucket Kit for the most powerful coffee enema! This latex-free, 2-liter bucket comes with silicone tubing and rectal and vaginal tips. We recommend enema buckets rather than enema bags, due to the easy cleaning process. The bucket opens on top and can be fully rinsed out. Coffee enemas are beneficial as a daily protocol due to the powerful detoxification effects. They are affordable, convenient, and safe, and help remove toxins from the body, improve digestion, and clean the liver. It is essential the liver is able to function since it reduces the body's free radicals. 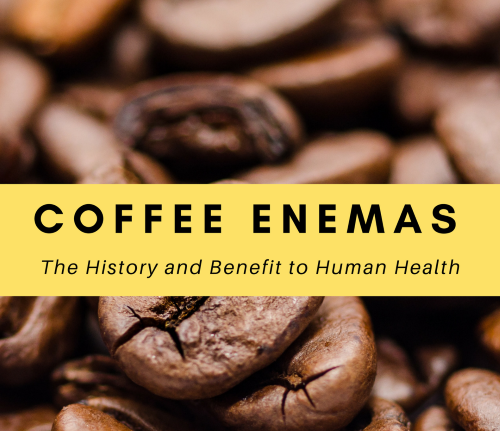 Along with the detoxification benefits of coffee enemas, they also can be done in the comfort of your own home. Preparing and taking an enema at home, or on the go, is simple and convenient. If you are not sensitive to latex, the Enema Fix Medical Grade 2 Quart Enema Kit is available for an even more affordable option that is easy for travel.